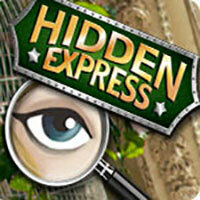 Hidden Express is a great hidden objects game. Offering more than 100 levels and multiple different worlds. Find the objects listed on the wagons of a train before it reaches the right side of the screen and disappears into the tunnel. You can help you with many power-ups, allowing for example to slow the train or get valuable clues to locate objects. Hidden-Express also alternates between hidden objects and difference games. And offers special event universes such as Christmas and Halloween. In short, fans of the genre will certainly love it! Play more hidden object games on Hidden4Fun. Enjoy and have fun. Make sure to check out Daily Hidden Object Game. You may enjoy playing it.